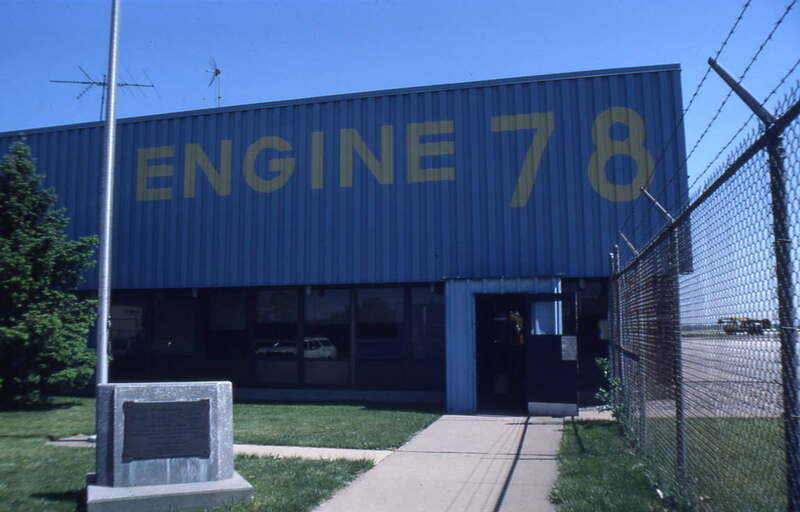 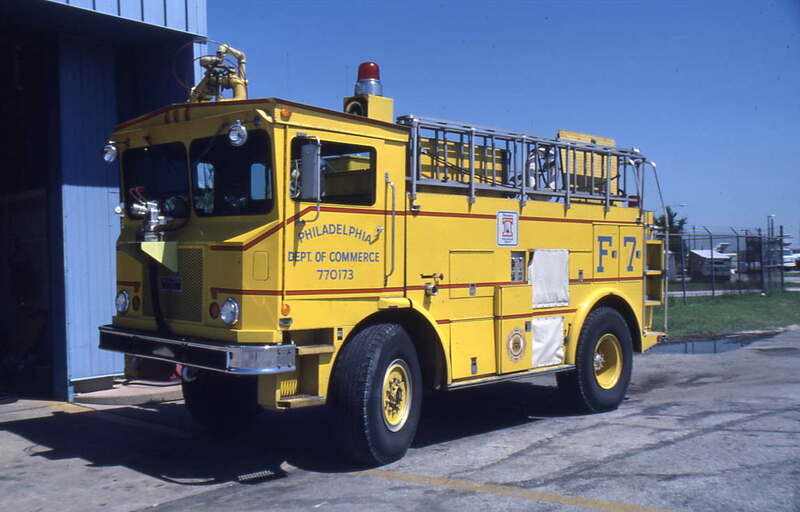 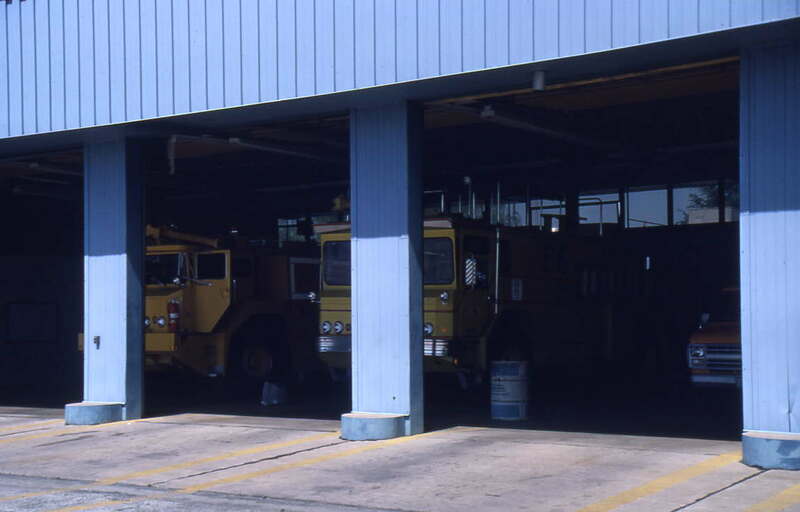 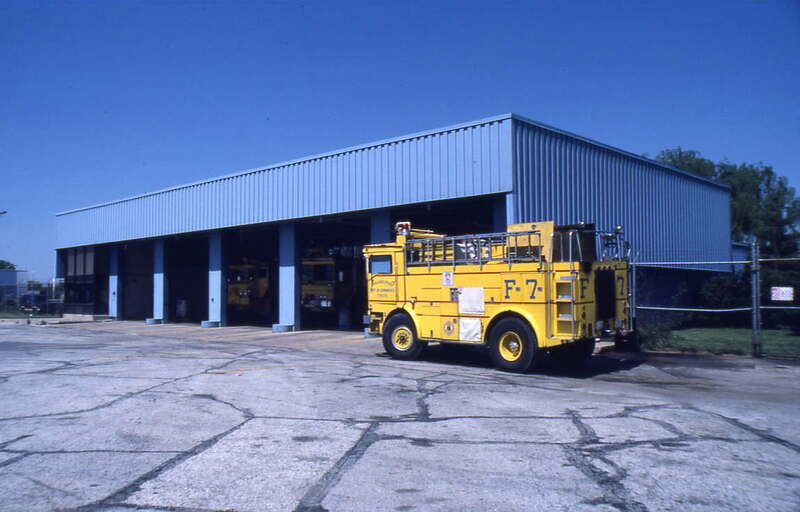 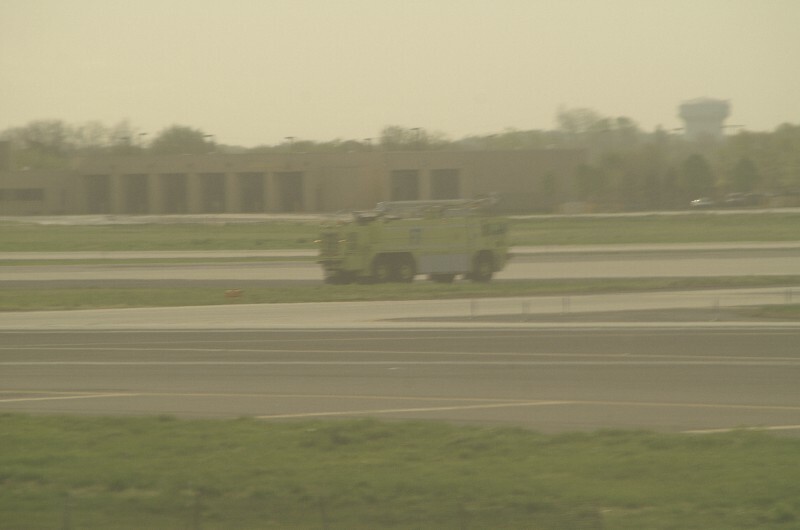 Philadelphia International Airport ARFF Station 78 taken during take off April 2006.
for an aircraft landing AFTER ours (fortunately). 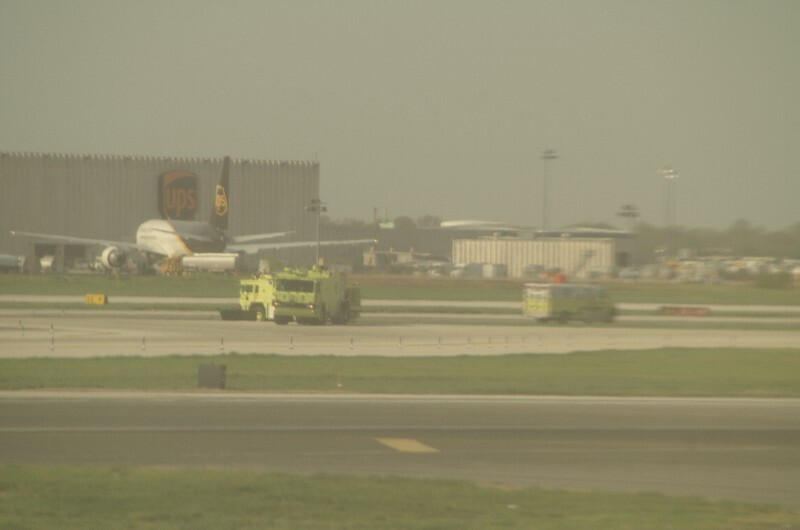 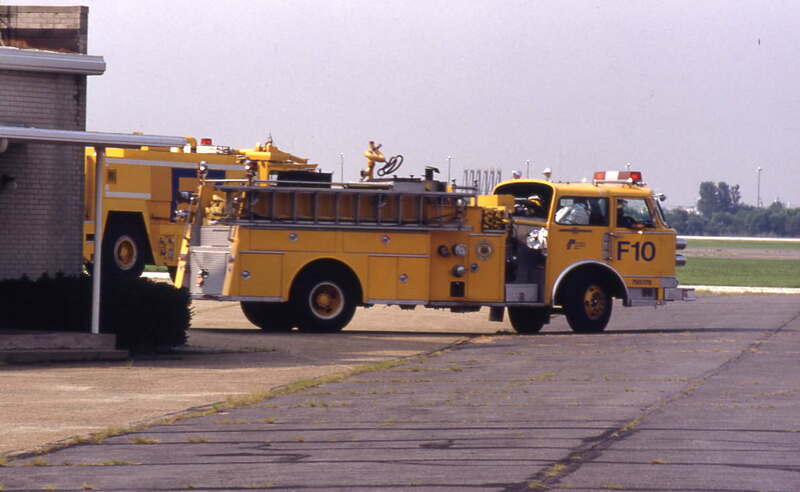 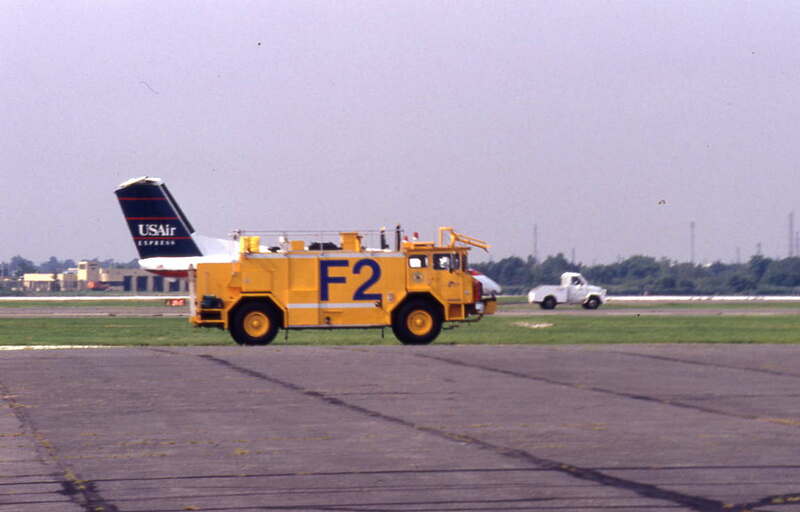 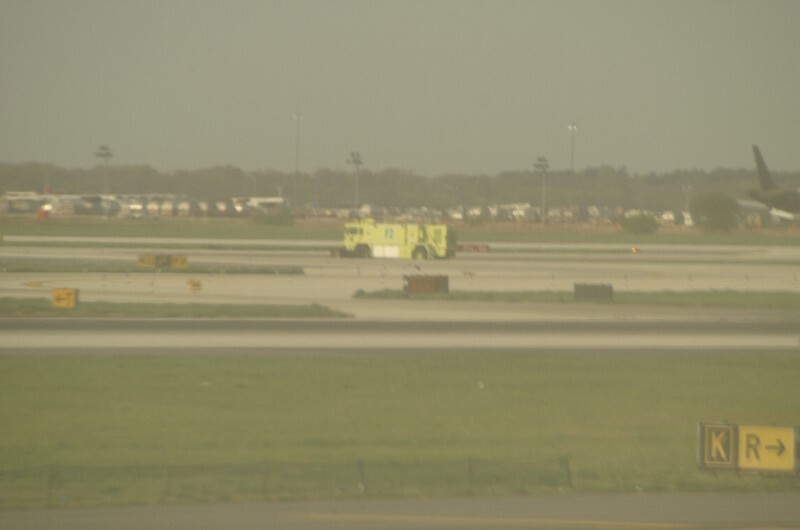 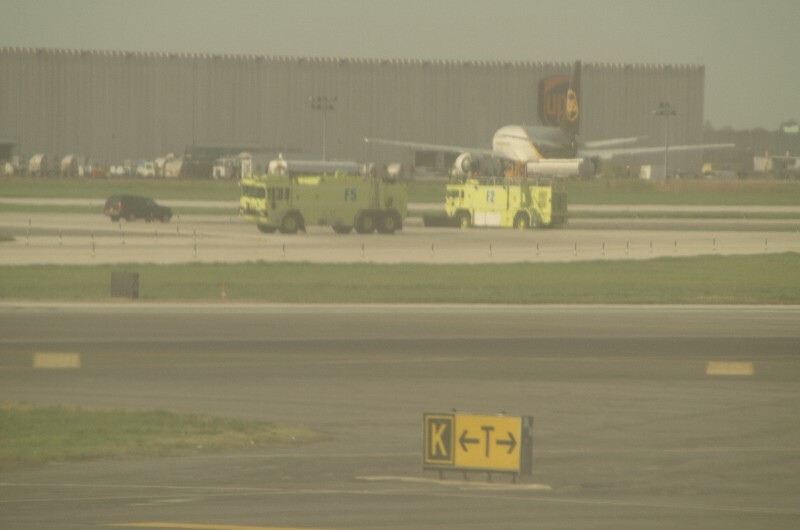 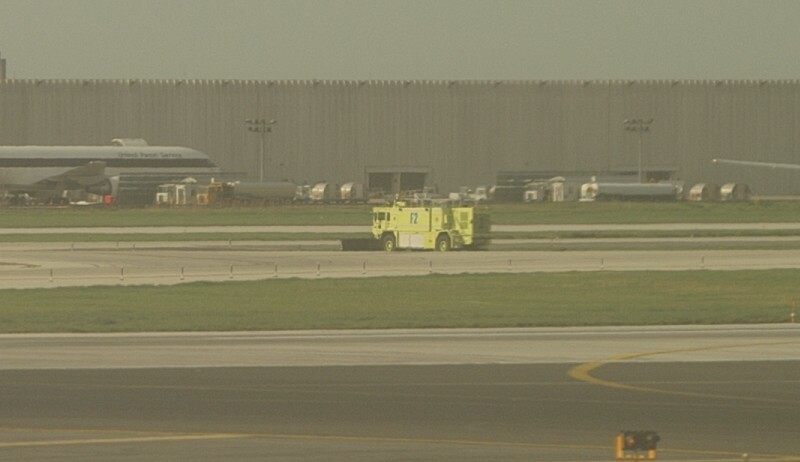 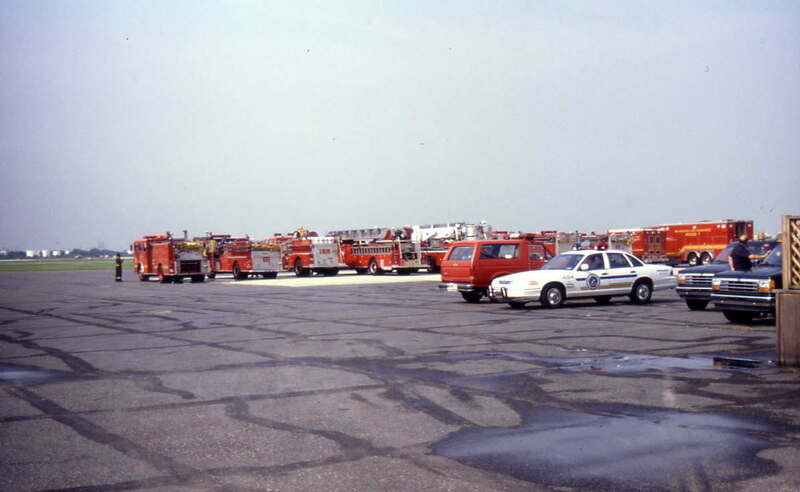 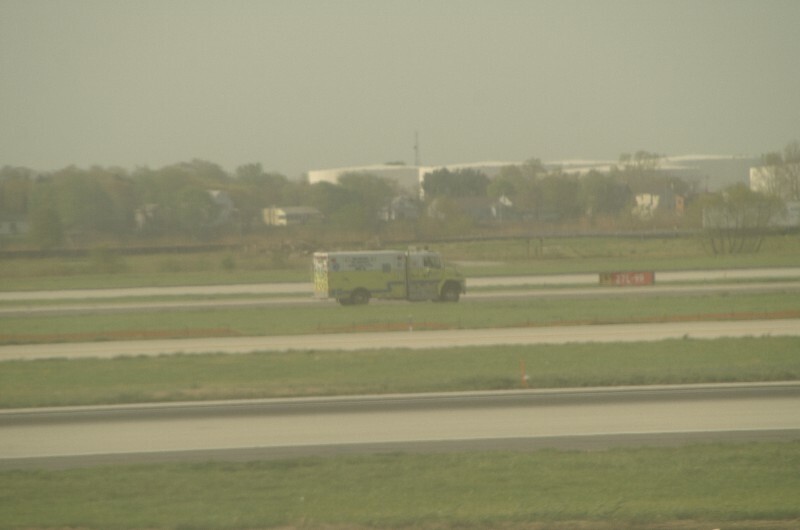 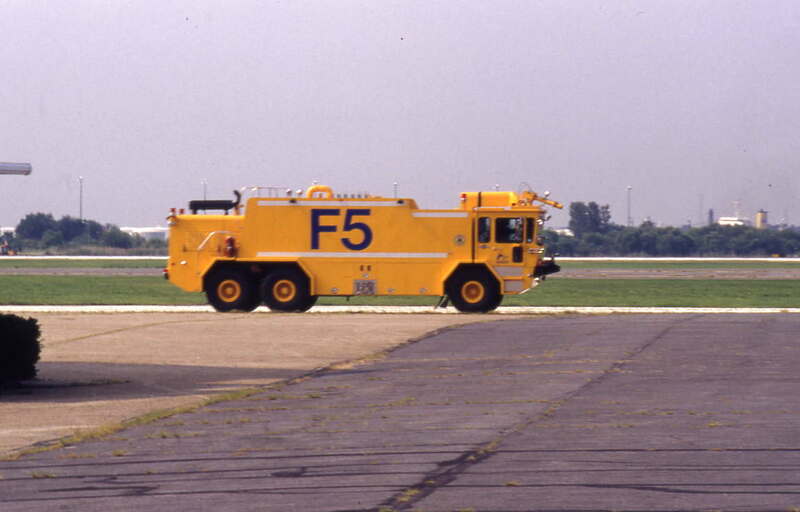 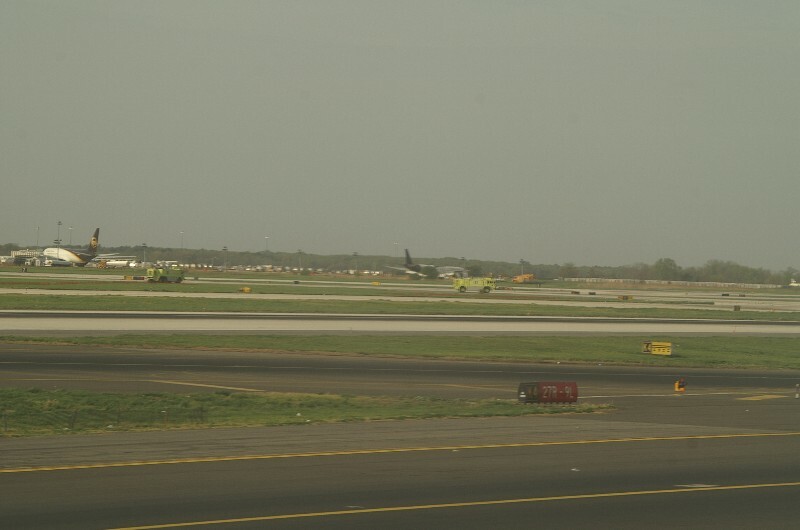 It was interesting to observe the apparatus responding to their positions along the runway. 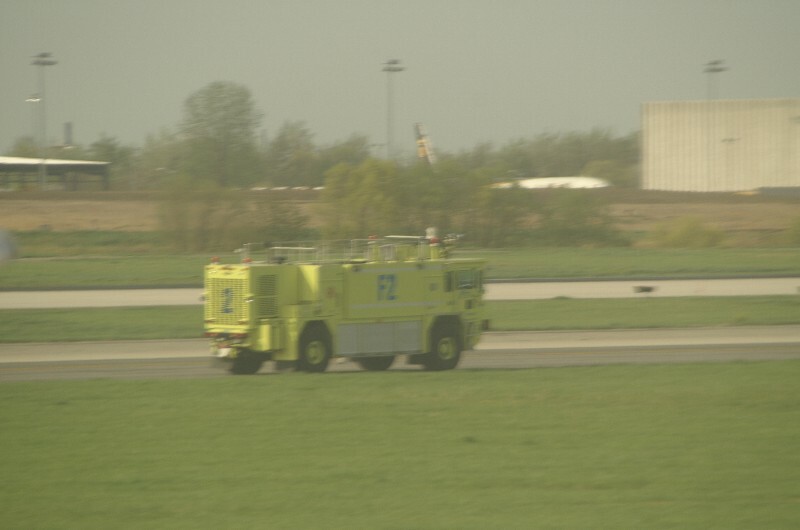 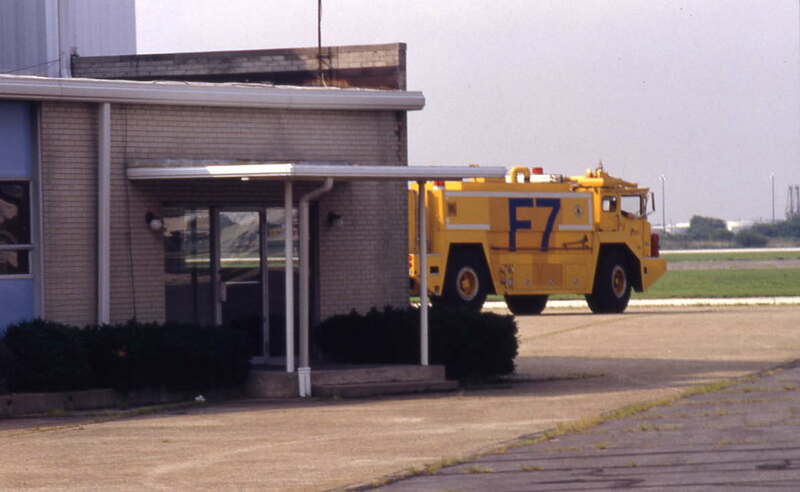 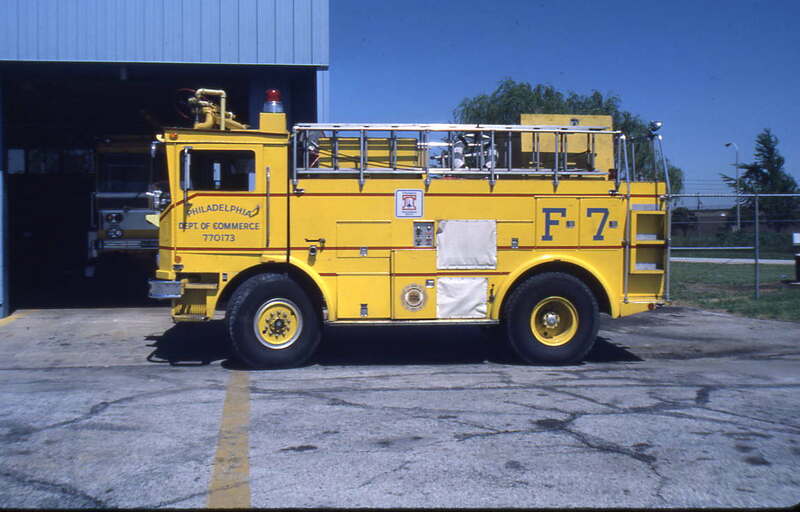 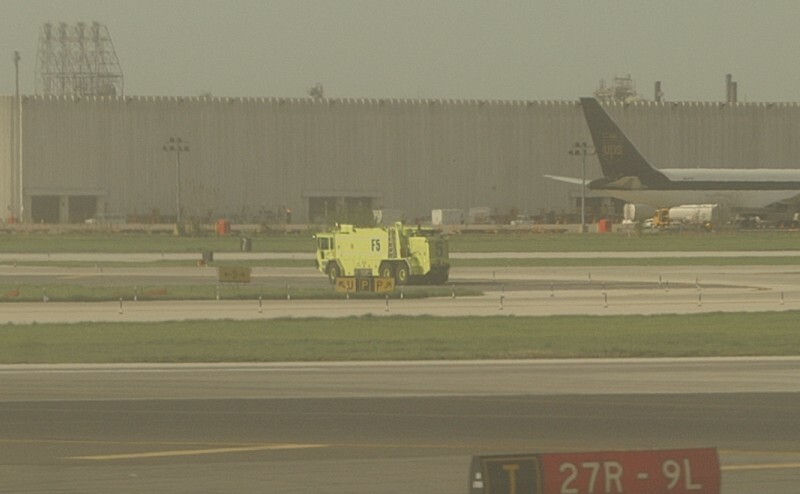 The aircraft landing was apparently uneventful and apparatus cleared soon after. 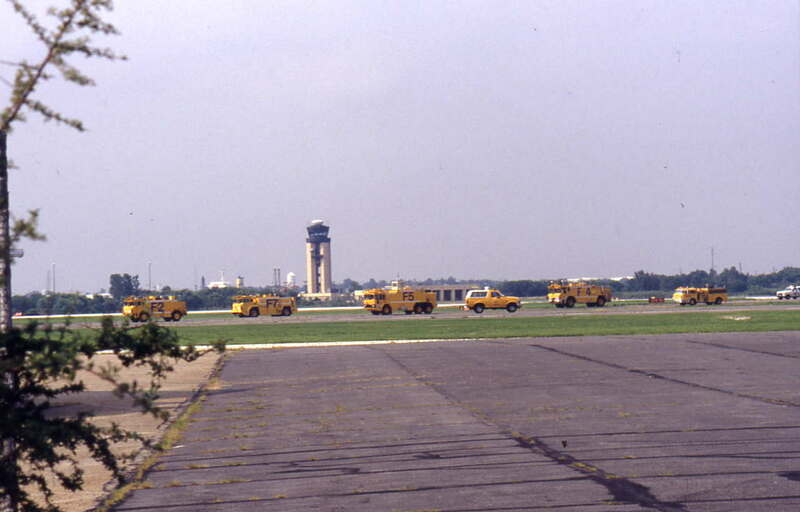 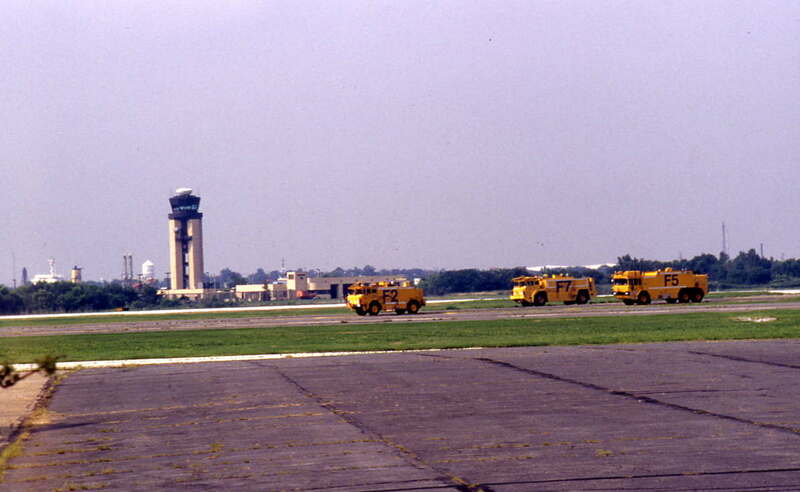 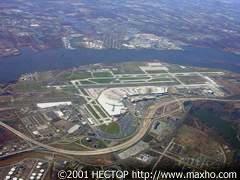 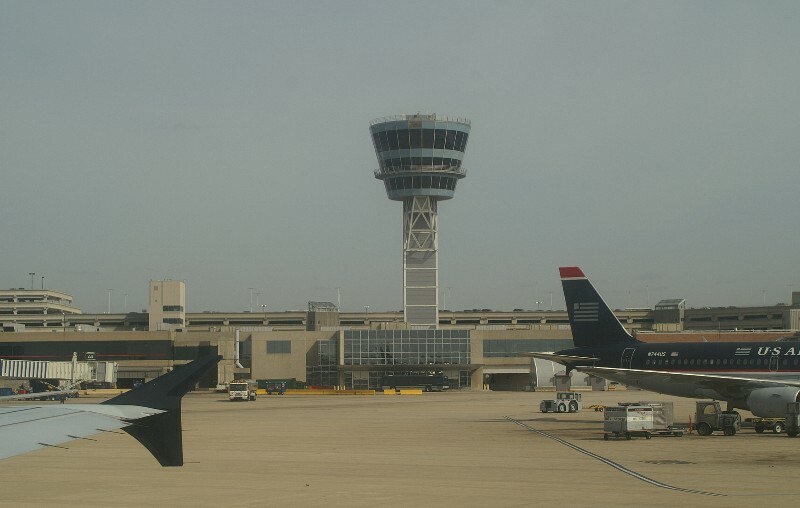 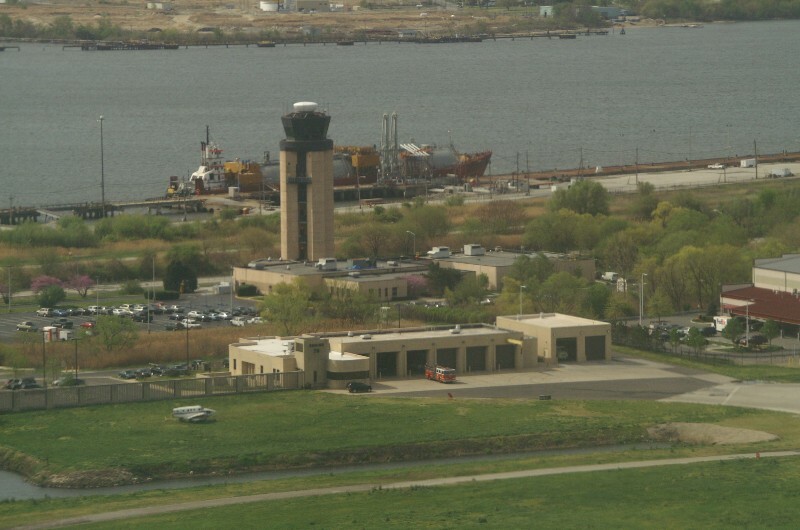 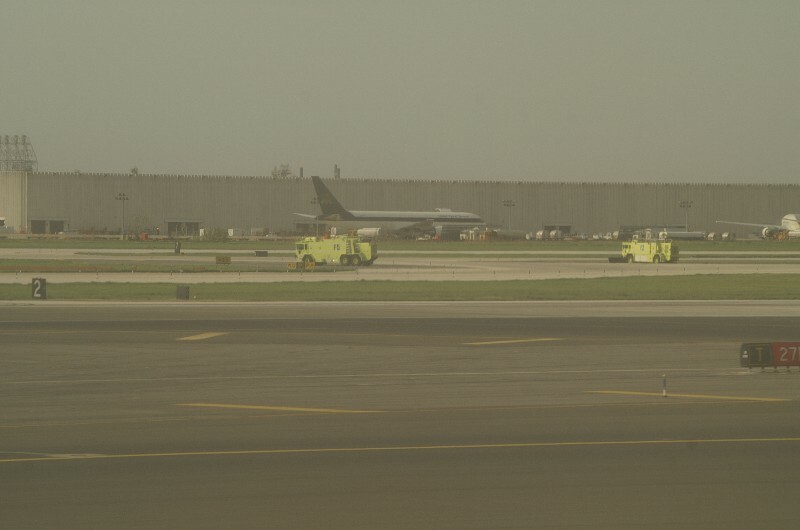 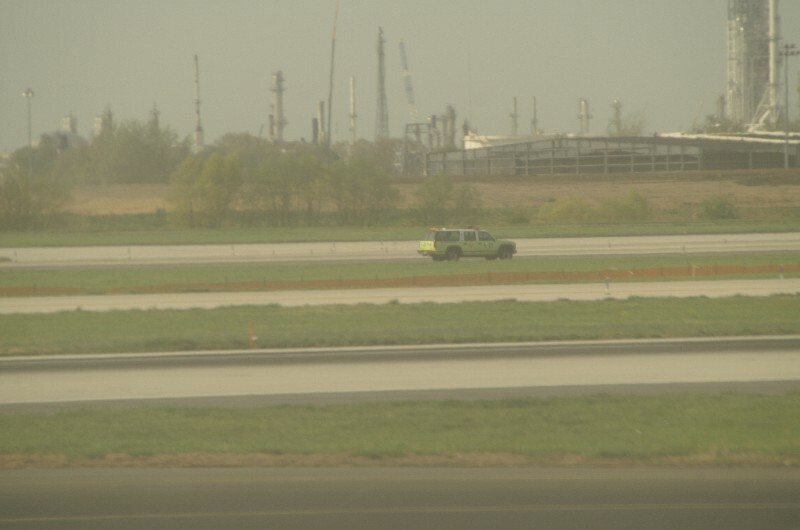 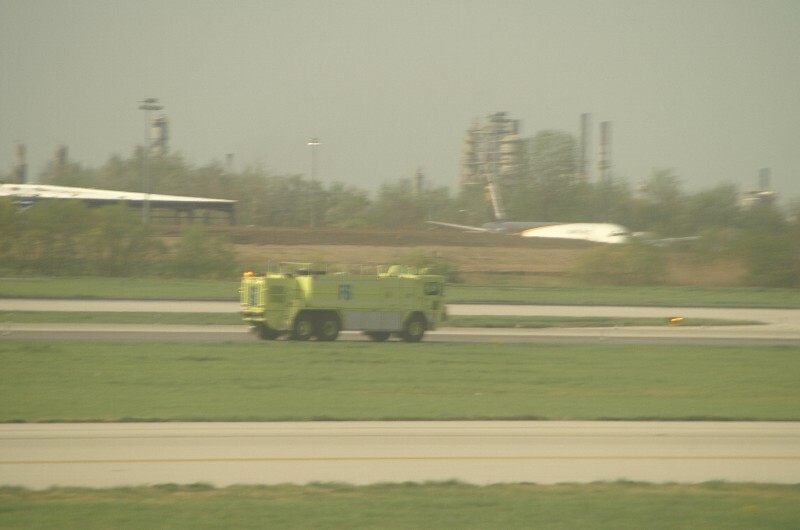 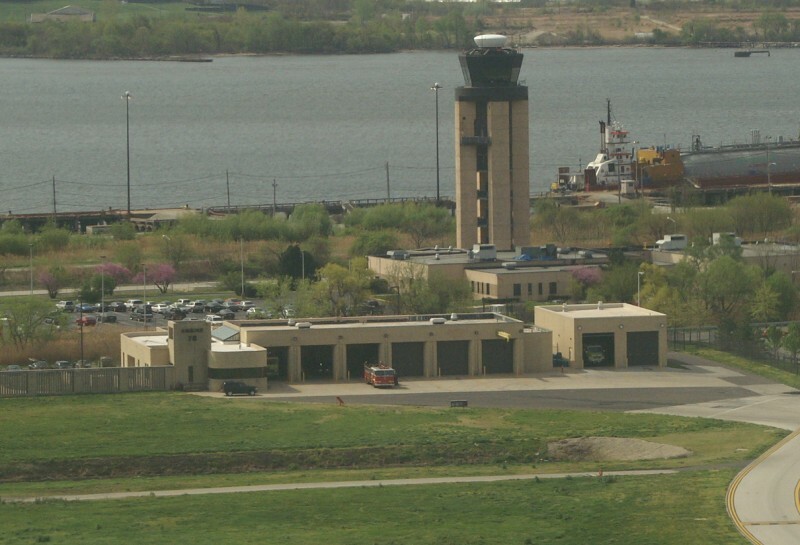 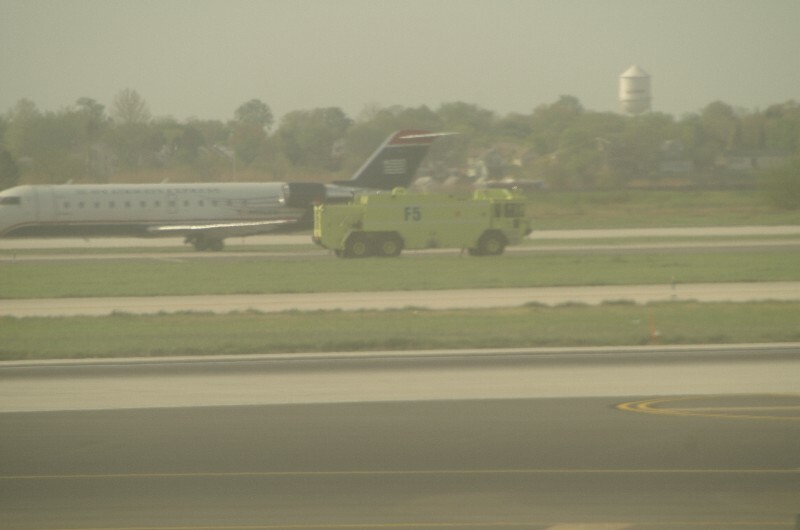 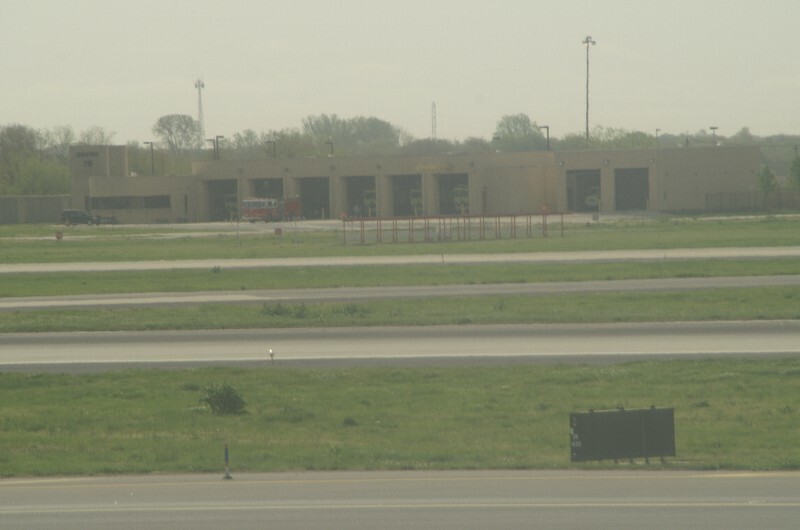 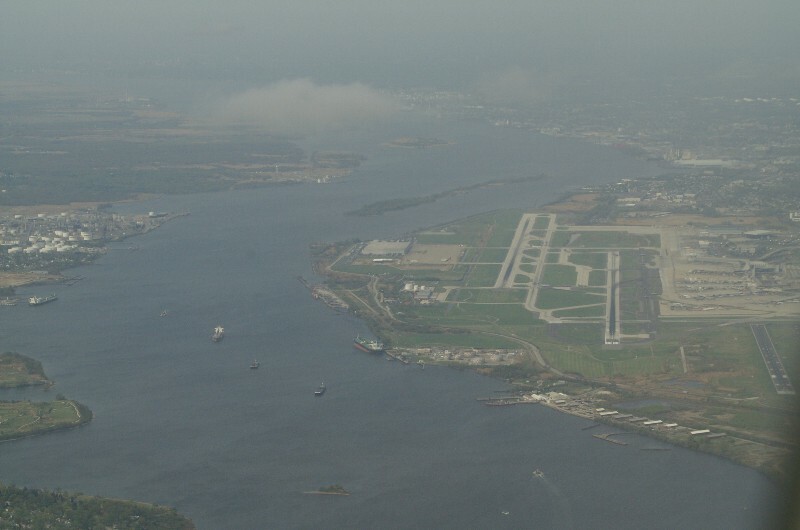 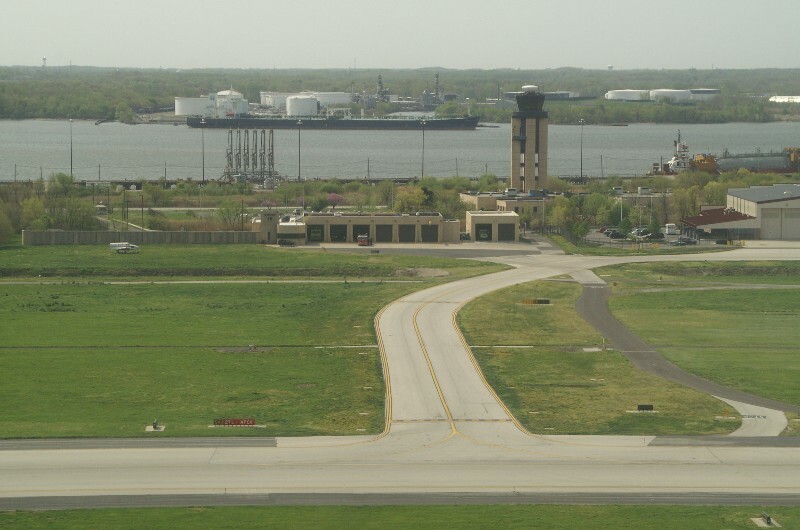 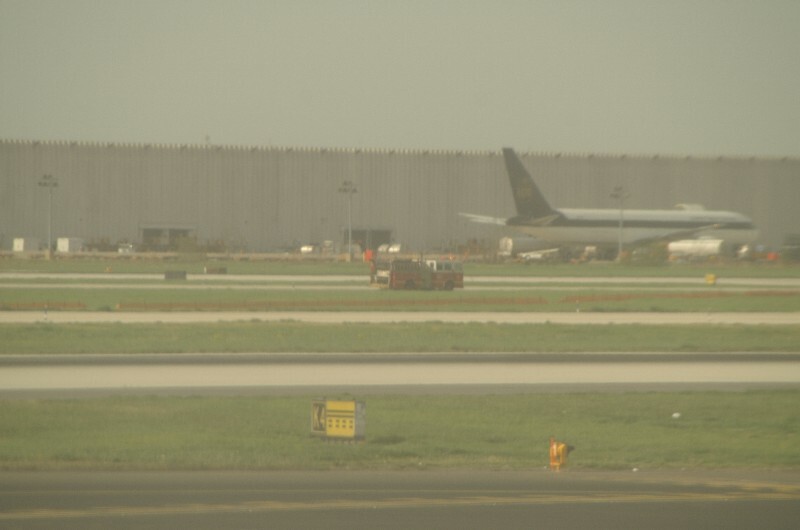 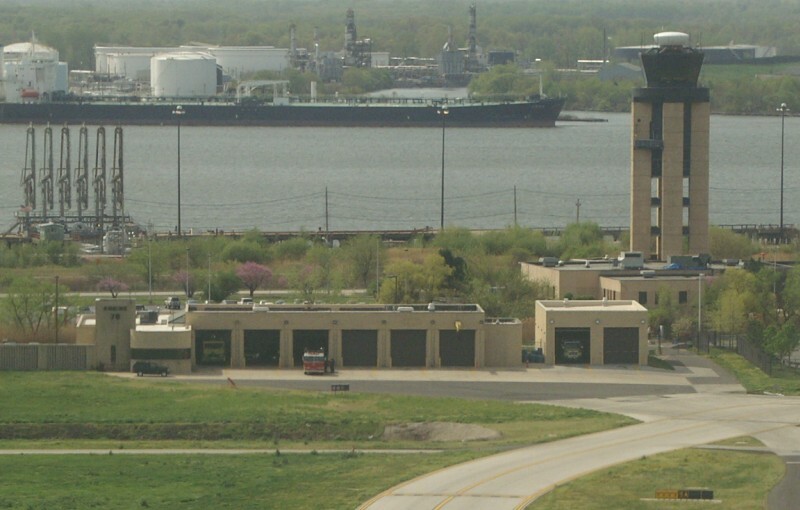 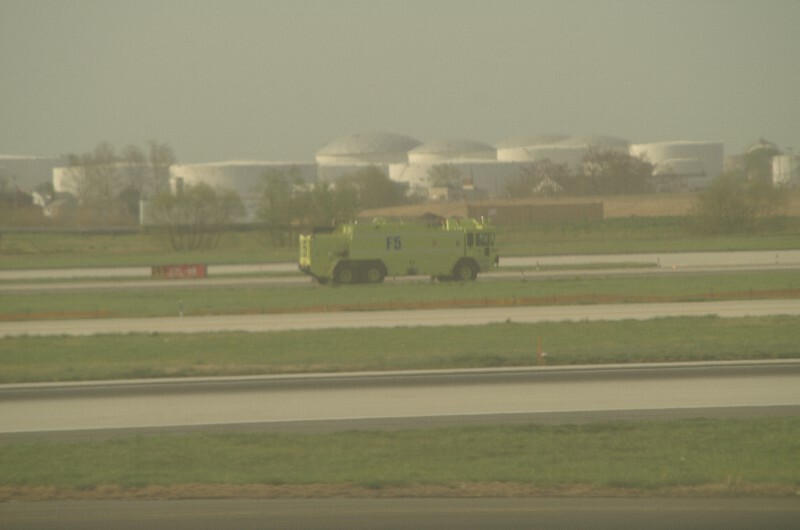 Philadelphia Airport after takeoff April 2006.